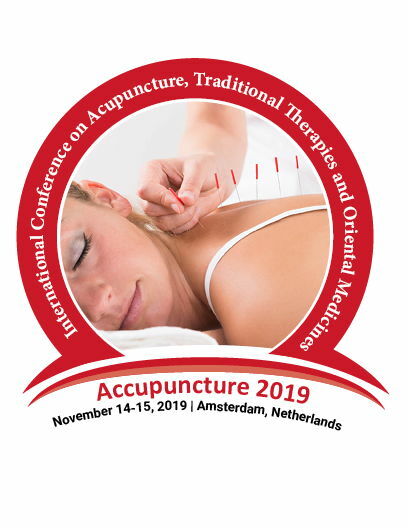 ConferenceSeries Ltd is very delighted to invite you all to the "International Conference on Acupuncture, therapies and Oriental Medicine " (Accupunture 2019) scheduled on November 14-15, 2019 at Amsterdam, Netherlands. We are progressively working for the initiation of new world, perspectives and views in the field of pharmaceutical Sciences. 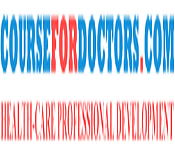 ConferenceSeries Ltd is providing a great platform for thousands of pharmacists meet, learn, share and exchange views. We are concentrating on a view that everyone should gain from the conference. So, we are organizing plenary sessions, poster exhibitions and section programs, workshops at the conference. Accupunture 2019 is supported with related journals and their editorial board members which provide a chance of meeting them, along with experts in Traditional Medicines, Oriental Medicine and Acupuncturist. Accupunture 2019 will schedule and coordinate all meetings with our Editorial Board Members and other experts in the Acupuncture, Traditional Medicines and Oriental Medicine fields across the world. The Acupuncture conference scientific program paves a way to gather latest information through the research talks and presentations and put forward many thought provoking strategies in Acupuncture Conference. Acupuncture is a part of the practice of Traditional Chinese Medicine (TCM), which is the most enduring tradition of healing. The term acupuncture describes a collection of procedures that stimulate precise anatomical locations by a variety of techniques in order to produce clinical effects. Acupuncture is based on the theory that energy, called chi (say "chee"), which is a Chinese term for the supposed life force or vital energy that animates living things. In Traditional Chinese Medicine (TCM) chi flows through and around the body along pathways called meridians. Acupuncture is a way to unblock or influence chi and help it flow back into balance. Acupuncture is performed by putting very thin needles into your skin at certain points on the body. This is done to influence the energy flow. Sometimes heat, pressure, or mild electrical current is used along with needles. Acupuncture and Meridian Studies, April 22-23, 2019, Rome, Italy; 5th Global Summit on Herbals and Traditional Medicine, August 14-15, 2019 Auckland, New Zealand; 9th International Conference on Traditional Medicine and Acupuncture, June 17-18, 2019, Osaka, Japan; 10th International Conference on Chinese Medicine, Ayurveda & Acupuncture, March 04-05, 2019, Berlin, Germany. Different kinds of traditional acupuncture vary slightly in diagnostic techniques and needling style but all concentrate on improving overall wellbeing by treating the root cause of an illness as well as relieving symptoms. There are several specific techniques within traditional acupuncture which can be used as stand-alone treatments. In addition to needling acupuncture points, a traditional acupuncture treatment may include other Chinese medicine techniques such as moxibustion, cupping, tuina (Chinese therapeutic massage) and electro-acupuncture. There are several specific techniques in traditional acupuncture which can be used as individual treatments. Trigger point acupuncture is practised by osteopaths and physiotherapists to treat musculo-skeletal pain. Auricular acupuncture uses acupuncture points located on the ear which is often used with other styles of acupuncture or on its own. In western medical diagnosis, basic needling techniques are used within the framework to relieve symptoms such as pain and headache. Acupuncture is widely known for its effectiveness in the treatment of pain. It has a unique role in reducing suffering in patients experiencing pain, so it has been one of the main reasons to become so popular around the world. Acupuncture has been demonstrated to activate a number of body’s own opioids as well as improving the brain’s sensitivity to opioids. A number of other biochemicals which are involved in reducing pain have been found to be released or regulated by acupuncture stimulation, including adenosine and ATP, substance P and GABA. Acupuncture represents a safe and effective alternative with a long track-record of successful use, in the context of ineffective and often dangerous pharmaceutical options for pain. Acupuncture is a valuable method of complementary medicine with broad application in neurology. It is based on the experiences of traditional Chinese medicine as well as on experimentally proven biochemical and neurophysiological effects. Acupuncture-induced analgesia is mediated by inhibition of pain transmission at a spinal level and activation of central pain-modulating centers by release of opioids and other peptides that can be prevented by opioid antagonists like naloxone. Modern neuroimaging methods (functional MRI) confirmed the activation of subcortical and cortical centers, while transcranial Doppler sonography and SPECT showed an increase of cerebral blood flow and cerebral oxygen supply in normal subjects. Appropriate techniques, knowledge of contraindications and hygiene safeguards will minimize the risks of rare side effects of acupuncture which represents a valuable adjunction to the treatment repertoire in modern neurology. Individuals suffering with migraine have repeated attacks of severe headache, usually pain occurs just on one side and often with vomitings. Acupuncture is a therapy in which thin needles are inserted into the skin at particular points. It is originated in China, and now used in many countries to treat people with migraine. The needle which are inserted into skin stimulates the nerves to release hormones, such as endorphins, that trigger a response from your body. This stimulation of circulation and immune system claims that acupuncture relieves migraines and tension headaches. Manual handling of acupuncture needles is commonly used in clinical practice to increase the intensity of stimulation in order to improve therapeutic effects. Manipulation techniques include deep insertion of needles into deep soft tissue and/or bi-directional rotation of needles. In this techniques, disposable sterile acupuncture needles and guide tubes are strongly recommended in all instances. Immediately after use, reusable needles and other contaminated equipment should be immersed in an effective chemical disinfectant, then soaked in water, with or without detergent and, then after cleaning it carefully, rinsed in water thoroughly before being packaged for resterilization. There are many ways acupuncture can bolster your long-term addiction recovery plan, after completing an effective addiction treatment programme. Acupuncture can be useful through all phases of treatment of addiction. There is a specific acupuncture treatment called as NADA (National Acupuncture Detoxification Association) protocol designed for treating addiction. During the withdrawal or detox phase, acupuncture can help reduce pain and combat cravings. It is also often used as a complementary therapy within alcohol and drug rehab as it has shown to help in improving retention rates and support continued engagement in treatment. In addition, the benefits of acupuncture can be used as a tool to help in maintaining long-term addiction recovery. Homeopathy and Ayurveda both are alternative forms of medicine but they differ in their philosophy and modes of treatment. Ayurvedic medicine is one of the world’s oldest medical systems which is originated in India and remains as one of the country’s traditional health care systems. Its concepts about the use of herbal compounds, special diets, and other unique practices to promote health. Homeopathic medicine is a system of natural medicine developed by Samuel Hahnemann, which is a natural, holistic, approach to healing a person, using minute doses of specific remedies, rather than simply eliminating a particular symptom. Traditional Chinese Medicine (TCM) is a comprehensive medical health care system comprised of a range of traditional therapies including Acupuncture, acupressure, moxibustion, herbal medicine, nutrition, Cupping, Massage (tui na) and Qi gong. Traditional Chinese Medicine (TCM) is based on the concept that the human body contains a set of interconnected systems which maintain healthy function through the balance of yin and yang, or opposing energies, and the natural flow of qi, the body’s vital energy. Physical medicine and rehabilitation is a branch of medicine that aims to enhance and restore functional ability and quality of life to those with physical disabilities or impairments. Physical therapy attempts to address the injuries or illnesses that limit a person's abilities to move and perform functional activities in their daily lives. Physical therapy’s use an individual's history and physical examination to arrive at a diagnosis and establishes a management plan and incorporates the results of laboratory and imaging studies like X-rays, CT-scan, or MRI findings. Physical therapy management commonly includes assistance with specific exercises, manual therapy and manipulation, mechanical devices such as education, traction, physical agents which includes heat, cold, electricity, radiation, sound waves, assistive devices, orthoses, prostheses, and other interventions. Acupuncture is widely known for its effectiveness in the treatment of pain. This acupuncture technique has been used in veterinary practice in China for thousands of years to treat many ailments. From a Traditional Chinese Veterinary Medicine (TCVM) perspective, veterinary acupuncture encourages healing by correcting energy imbalances in the body. Acupuncture enhances blood circulation, nervous system stimulation, and the release of anti-inflammatory and pain relieving hormones. For small animals, acupuncture has been used for treating arthritis, lick granuloma, hip dysplasia, feline asthma and certain reproductive problems. Where as in larger animals, acupuncture has been used for treating downer cow syndrome, allergic dermatitis, facial nerve paralysis, nonsurgical colic , respiratory problems and certain reproductive disorders. Veterinary acupuncture has been recently used on more exotic animals, such as chimpanzees (Pan troglodytes) and an alligator with scoliosis though this is still quite rare. Oriental medicine is the oldest codified system of medicine in the world.The most commonly known treatment method of Oriental Medicine in western cultures is acupuncture, which involves the insertion of very fine needles into the body at specific locations in order to balance the flow of Qi. The philosophy of Oriental Medicine uses metaphors and images from nature to describe the processes of health and disease. Yin and Yang originally referred to the sunny and shady side of a mountain. The Five Elements (Metal, Fire, Earth, Water, and Wood) are another important paradigm of health and disease in Oriental Medicine. March 04-05, 2019, Berlin, Germany. 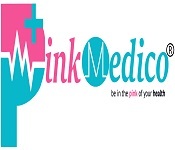 Holistic medicine is a form of medical treatment that attempts to deal with the whole person and not merely with his or her physical condition and integrative medicine combines treatments from conventional medicine and Complementary and Alternative Medicine (CAM) for which there is some high-quality evidence of safety and effectiveness. The integrative medicine model recognizes the critical role the patient- practitioner relationship plays in a patient's overall healthcare experience, and it seeks to care for the whole person by taking into account the many interrelated physical and nonphysical factors that affect health, wellness, and disease, including the spiritual and psychosocial dimensions of people's lives. Chiropractic medicine is a form of alternative medicine concerned with the diagnosis and treatment of mechanical disorders of the musculoskeletal system, especially the spine. Chiropractic is primarily used as a pain relief alternative for muscles,bones, joints and connective tissue, such as ligaments, cartilage, and tendons. Osteopathic medicine provides all of the benefits of modern medicine including prescription drugs, surgery, and the use of technology to diagnose disease and evaluate injury. It also offers the added benefit of active diagnosis and treatment through a system of treatment known as osteopathic manipulative medicine. Osteopathic medicine emphasizes helping each person in achieving a high level of wellness by focusing on disease prevention and health promotion. Electro-acupuncture is the term used to refer the application of a pulsating electrical current to acupuncture needles, or even without needles, to acupuncture points on the body. The current is usually 40-80 volts, however no current is actually transmitted through the body. There will be only enough stimulation for the patient to feel a minor pulsating sensation. A standard treatment period usually lasts between 10 and 20 minutes and rarely exceeds half an hour. Electro-acupuncture treatments are often shorter than regular acupuncture treatments due to the stronger and continued stimulus. A unique advantage of electro-acupuncture is its ability to simulate an area larger than the needle itself which ultimately reduces the need for a precise insertion of needles. The World Health Organization (WHO) recommends Acupuncture as an efficient treatment over many health problems. Acupuncture can provide a safe and effective treatment for many of the health complications that may arise before, during and after pregnancy. Acupuncture and Oriental medicine are an effective treatment for regulating menstruation and hormone levels, reducing stress and addressing any pre-existing medical conditions. There is strong evidence to support that acupuncture is highly effective at treating some of the most common problems experienced during pregnancy including heartburn, morning sickness, insomnia, water retention and sciatica. The global acupuncture treatment market is expected to register a significant CAGR during the forecast period. The increasing acceptance due to rising awareness of traditional Chinese medicine such as acupuncture as a primary health approach in the countries such as U.S., Germany, U.K. and other developed economies is the major factor, expected to propel the growth of the global acupuncture treatment market. Acupuncture and Traditional Chinese Medicine (TCM) is increasingly recognized as safe and cost effective in treating many acute and chronic ailments. The National Center for Complementary and Alternative Medicine (NCCAM) defines complementary and alternative medicine (CAM) as “a group of diverse medical and health care systems, practices, and products that are not generally considered to be part of conventional medicine.” Nearly 40% of United States citizens use some form of complementary and alternative medicine (CAM) each year. According to the 2007, National Health Interview Survey (NHIS) there were 354 million visits to CAM providers and 835 million CAM purchases. The 2007 out-of-pocket expenditure for CAM in United States was nearly 34 billion dollars. 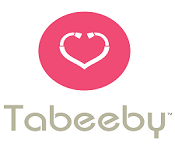 Visits to a health care practitioner of any kind totalled $61.5 billion, of which, $11.9 billion was spent on CAM providers such as acupuncturists and chiropractors. In 2007, over 3.1 million adults visited an acupuncturist, a figure that has risen sharply over the past decade; in 1997 there were 272 visits to an acupuncturist per 1,000 adults compared to 79.2 visits in 2007. This was resulting to successful efforts at regulation and licensing acupuncturists, a movement toward standardization of acupuncture delivery. The 6th International Conference and Expo on Acupuncture and Oriental Medicine (Acupuncture 2018) hosted by Conference Series LLC Ltd took place at las Vegas, USA during April 18-19, 2018. Active participation and generous response were received from the Organizing Committee Members, Editorial Board Members of Conference Series LLC ltd Journals as well as from eminent scientists, talented researchers and young student community. Researchers and students who attended from different parts of the world has made the conference one of the most successful and productive events in 2018 from Conference Series LLC ltd. The conference was marked with the presence of renowned scientists, talented young researchers, students and business delegates driving the two days event into the path of success with thought provoking keynote and plenary presentations highlighting the theme, “Acupuncture and Oriental Medicine: A True Devotion to Healing” Acupuncture 2018 Organizing Committee would like to thank the Moderator of the conference Ella Matatov who contributed meticulously and exuberantly for the smooth functioning of this event. Acupuncture 2018 is known for uplifting the allied areas by encouraging students and fellow researchers to present their work through poster presentations and young research forum. Conference Series LLC ltd has taken the privilege of felicitating Acupuncture 2018 Conference Organizing Committee, Editorial Board Members and Keynote Speakers who supported for the success of this event. Conference Series LLC ltd, on behalf of the conference sponsor appreciates all the participants who put their efforts for this event and sincerely wishes them success in future endeavours. The esteemed guests, Keynote speakers, well-known researchers and delegates shared their innovative research and vast experience through their fabulous presentations at the podium of grand Acupuncture 2018 Conference. We are glad to inform that all accepted abstracts for the conference have been indexed in Conference Series LLC ltd “Journal of Alternative & Integrative Medicine” as a special issue.